What is the history of the medical use of marijuana? In 1937, the U.S. Treasury began taxing Cannabis under the Marijuana Tax Act at one dollar per ounce for medicinal use and one hundred dollars per ounce for non-medical use. The American Medical Association (AMA) opposed this regulation of Cannabis and did not want studies of its potential medicinal benefits to be limited. 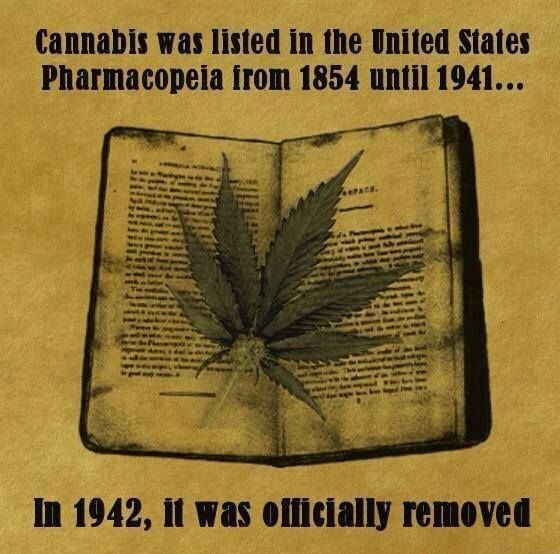 In 1942, Cannabis was removed from the U.S. Pharmacopoeia. In 1951, Congress passed the Boggs Act, which included Cannabis with narcotic drugs for the first time. Although Cannabis was known to have medicinal uses, those uses were greatly guarded until the U.S. government distributed it to patients on a case-by-case basis under the Compassionate Use Investigational New Drug (IND) program started in 1978. This program was closed to new patients in 1992. Researchers have studied how cannabinoids act on the brain and other parts of the body. Cannabinoid receptors (molecules that bind cannabinoids) have been discovered in brain cells and nerve cells in other parts of the body. The presence of cannabinoid receptors on immune system cells suggests that cannabinoids may have a role in immunity. The endocannabinoid system that marijuana attaches to appears to provide balance to other systems.